Uncle Harry Allie was born and grew up in the Charters Towers/Townsville area. He is a descendant of the Kudjula Tribal group. Harry was inspired to join the Australian Defence Forces by his uncles and an aunt who served in the services during WWII. He enlisted in the Royal Australian Air Force in 1966 at Townsville North Queensland and served for 23 years at a number of units throughout Australia, the US, and Malaysia. Uncle Harry then worked in the Defence Industry for 11 years, before joining the Commonwealth Public Service for a further seven years. Uncle Harry has held many community positions since at the local and state level, and has been awarded one of five prestigious Elders Awards by the Indigenous Higher Education Advisory Council for his lifelong contribution to higher Indigenous education in Australia. 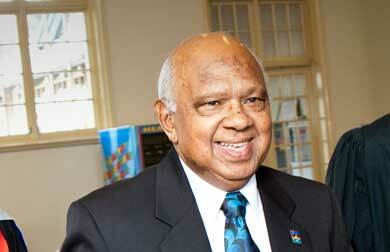 Uncle Harry is an inspiring leader and mentor of Aboriginal and Torres Strait Islander youth. He has been an influential voice in shaping the national government policies on Aboriginal and Torres Strait Islander Employment.